Marc van Gelder was born and raised in 's-Hertogenbosch. Marc studied Dutch Law in Utrecht, which he completed successfully in 1993. Marc joined the Eindhoven-based law firm Banning Van Kemenade en Holland, later Holland van Gijzen. 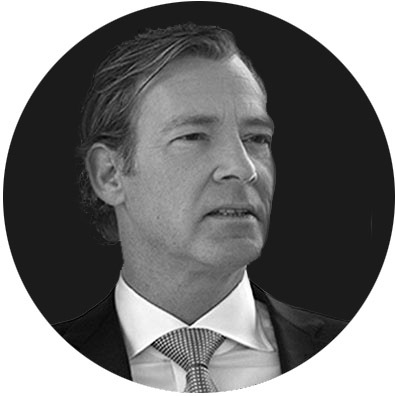 The office grew rapidly with several locations in The Netherlands and Marc was appointed Managing Partner at Holland van Gijzen Eindhoven. In 2010 the office went independent and since has continued under the name Deterink Lawyers and Public Notaries with offices in Eindhoven and Amsterdam. Marc mostly advises large firms with all aspects of labour legislation and aspects, with an emphasis on reorganisations and employee benefits. Open Innovation – Contradictio in Terminis? How the Internet-of-Things saved our trip! © Copyright 2012-2017 Red Bluejay Foundation.